March, 22 2013 Triaxes organized and held the first 3D videoconference between Tomsk (Tomsk Polytechnic University) and London (Ravensbourne College). 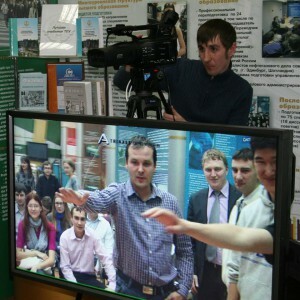 The participants could feel the presence effect due to the glasses-free 3D format being used for broadcasting. Students, professors, experts, journalists and entrepreneurs (more than 25 participants from each side) had an opportunity to discuss the 3D technology development prospects and also took part in an interactive business game. «3D with glasses is a habitual thing, though quite uncomfortable. Therefore the new 3D format was created and now it is being introduced little by little. We assume that in the near future glasses-free 3D displays will be available for the general consuming public. For instance, such a format might play its role in distance learning, etc”, – Marina Pinzhina, the marketing expert at Tiaxes, says. Glasses-free 3D content can be watched on a special autostereoscopic display. This time specialists from Triaxes set up a real-time 3D system using an ASD display from Dimenco. “Triaxes Vision has developed a system (software and technology) allowing to organize 3D video conferences in the new 3D format. 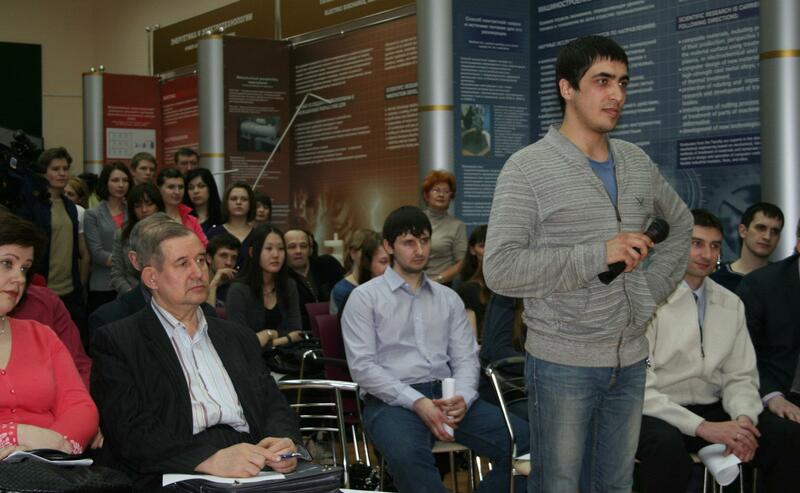 Now you can see the stereo camera shooting the audience in Tomsk. At the same time a set-top-box in London receives this video content, processes it and sends to the special display in the required 3D format. Our software lets the audiences in Siberia and London see a clear 3D image without special glasses”, – Marina Pinzhina explains. Marina Pinzhina also said that currently the similar 3D system is being set up in Ravensbourne College. Representatives from Tomsk Polytechnic University are assisting their colleagues as they have the experience of using the system for more than a year. This is how we saw the first 3D video conference from Siberia. Read more to find out how Jonathan Tustain, the founder of 3D Focus, saw it from London.